This plant in the foreground arrived on its own to my balcony container garden, and now it is flowering. The flowers look like peas, and the plant is growing vigorously with a nice cascading shape. Does anyone know the name of this plant? In gardening, the unplanned is often the most intriguing. I wonder if the seed came in the wind, in the soil of another purchased plant, or by bird droppings. Even a small artificial ecosystem can take on a life of its own. On Monday I visited my new friend Pierre Alex’s “tokyobsession” art opening of drawings, whose subject is Tokyoites. A French product designer, Pierre is a talented illustrator, and this collection of drawings captures many of the themes that animate Tokyo Green Space and my fascination for this city. Tokyobsession turned out to be over 50 line drawings on photograph paper, each folded in half. In form, they correspond to the sketch books he uses to capture scenes of Tokyo: parks, freeways, alleys, sidewalks, commercial areas, cafes, and the people who animate the city. Using photo paper highlights the quick and “snapshot” quality of his talented drawings, and suggest the perspective of an outsider looking in. Pierre told me that he enjoys how Tokyo is the “anti-Haussmann” city: unplanned, chaotic, grassroots rather than top-down, improvisational, and anarchistic. The city’s built environment, including buildings and parks, is in many ways not beautiful, but it is how people create urban spaces and live their lives in a blurring of public and private spaces that make the city so charming, captivating, and livable. Pierre’s view of Tokyo, in words and even more so in drawings, also echo a recent blog commenter’s email to me. 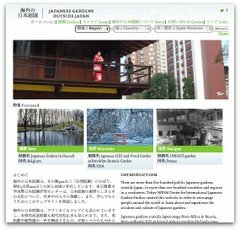 This writer told me about her appreciation of the unusual resident-authority relation in Japanese cities that spurs ordinary urban residents to create greenery and community in even the most unlikely places. I marveled at Pierre’s talent for not just seeing the city but for capturing it in drawings that reveal everyday scenes and the city’s spirit. Update: After this post, I realized two things. The images at the cafe spelled out the show’s title (see photo below). And many of the images are in Pierre’s blog called “tokyobsession” (in French and illustrated).